Which fueling systems require ‘Line Tightness Testing’? 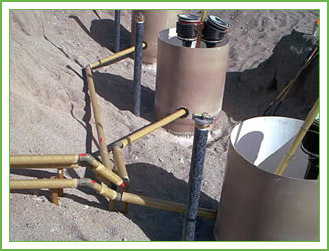 Conventional Suction Systems (with a foot valve located at the bottom of the tank) require Line Tightness Testing every 36 months (tri-annually) and, Pressure Systems without Mechanical Line Leak Detectors require Line Tightness Testing every twelve months (annually) by a technician who has the appropriate State certification. Does my system need ‘Fuel Filtration/Polishing’? Proper fuel and fuel system maintenance and testing can help avert the cause of disastrous field breakdowns and help ensure the uninterrupted operation of your back-up generator systems and diesel fueled vehicles.